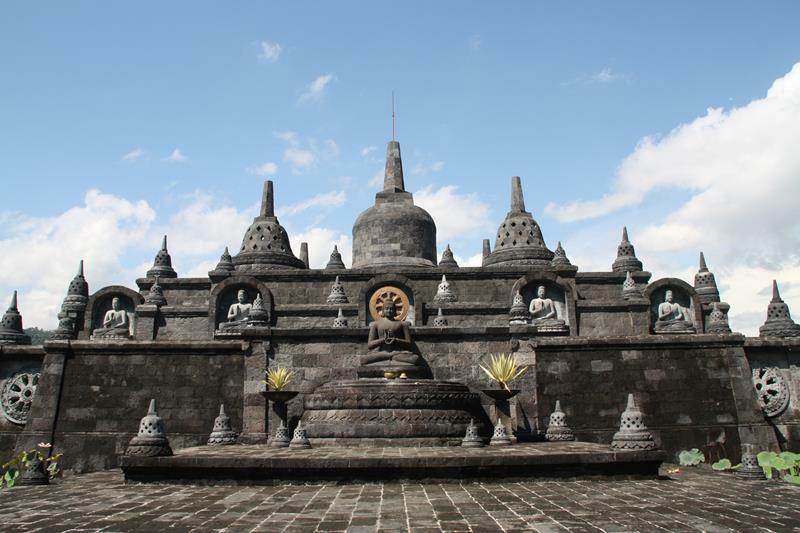 The Brahma Vihara Arama Buddhist Temple is located on the north cost of Bali around 15 minutes drive from the beach side town of Lovina. The Buddhist temple has a number of Buddhist monks living here. You can visit the grounds of the Buddhist temple and they also run regular mediatation retreats. The temple has accommodation where you can stay during the retreats. There are large beautiful gardens around the Buddhist Temple with many statues of the Buddha as well as nice Buddhist stupas. Check out the Brahma Vihara Armama temple website for more information about the mediatation workshops. I think this Buddhist Temple as a must visit site in Bali. I have visited a few times and think it is one of the most beautiful Buddhist Temples in South East Asia. There is no entrance fee to enter the Buddhist temple. They do have a donation box at the front entrance for any donations. 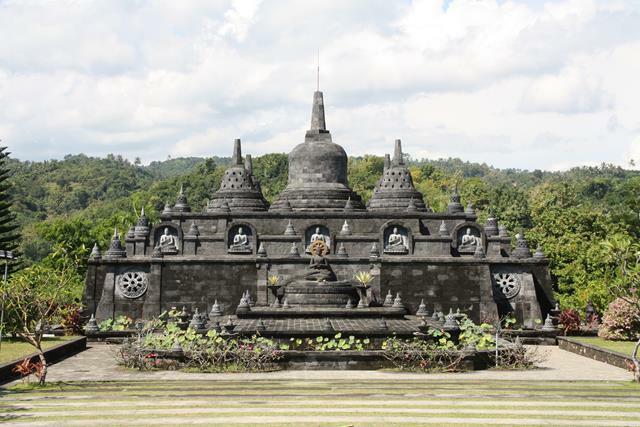 The Buddist Temple is around 15 minutes drive from Lovina, on the north coast of Bali. You can make a nice half day trip from Lovina by visiting the Buddhist Temple and then visiting the Hot Springs (Air Panas) which are around 5 minutes drive from the temple.